Fresh from a massive brand refresh, WW (formerly Weight Watchers) tapped BCXP to celebrate its rebranding and introduce media and influencers to the all-new world of WW. We were thrilled to host a VIP event celebrating the launch of WW’s partnership with the Barclays Center at the grand opening of the WW Freestyle Café inside the arena. BCXP transformed the Billboard Lounge into an immersive introduction to the new WW brand with custom LED lighting displays, green-screen social photo opportunities, meditation zones and more. 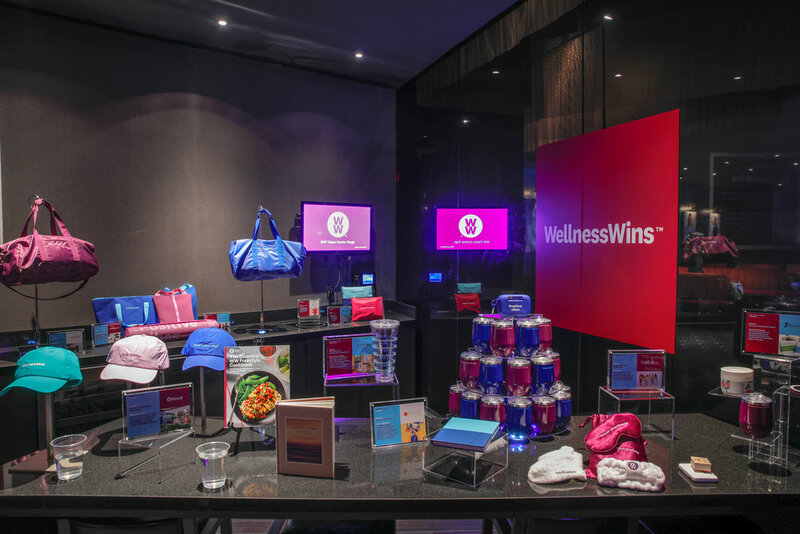 The event showcased the new branding and featured interactive areas designed to introduce guests one-on-one to the brand-new WW app, along with WellnessWins, WW Cruise, WW Good, WW Healthy Kitchen and the newly formed partnership with Headspace. Guests enjoyed a guilt-free Cense Wine Bar and delicious food, all marked with their associated SmartPoints value. The event generated 838k social impressions day of, and 18.6M media impressions over the course of the week. Featured press attendees included CNBC, AOL, People, WSJ, Food Network, Men’s Health, theSkimm and Vox.